Disha is a voluntary organization registered under the Societiesa�� Registration Act, 1860, with registration number SGD-1662-246/1995-96. It is also registered under the Foreign Contribution Regulation Act, 1976 and 12 A of Income Tax (Exemption) Act, 1961. Disha came into existence by a group of development professionals. 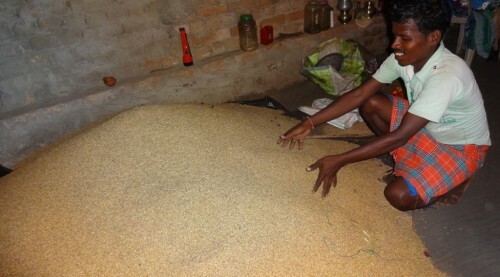 It started working in 1995 with a handful of villages in the Bisra block of the Sundargarh district of Odisha in India. Although the initial focus was on child development, it was soon realized that the issues surrounding it could not be addressed without considering the wider problems of food insecurity, lack of social cohesion, gender injustice, poor local self governance and the absence of tribal from the socio-political mainstream. Keeping this in mind, the relationships was built with twenty villages in the Bisra block through the creation of Micro-Level Plans (MLPs) using the method of Participatory Rural Appraisal (PRA). The MLPs were used as blueprints of the development in conjunction with community mobilization through general rights awareness. Through these micro plans, the community clearly identified four major critical issues of concern in the area along with their root causes and aspirations. Those issues were food insecurity, ineffective local self governance, neglected development of women and children and their violation of rights. With the focus on these issues, the intervention started in 20 villages with the inclusion of more villages in the past years. Sustainable models were developed in those 20 villages with demonstrative effect in the peripheral area. Presently, it is working intensively in 100 villages with campaign work on the issues in the entire tribal district of Sundargarh with state and national level impact. In the initial stages, the development model of interventions were initiated and slowly the rights based approach was focussed upon. 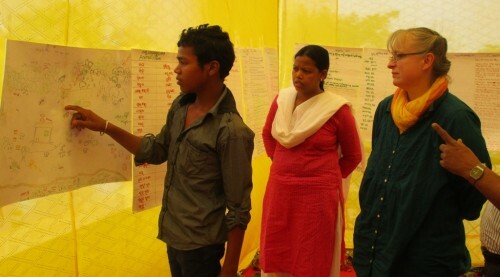 Sustainable agriculture, preservation and regeneration of bio diversity, rights of children, gender justice, participative and accountable governance, addressing discrimination and exclusion, assertion of marginalised and excluded community over social security and other public services and schemes are the major program components of Disha in the recent years. For the past 5 years, the focus was also given on controlling the trafficking of tribal girls with rehabilitative and preventing approach and protecting children in critical situation. Creating a demonstrative model and advocating it with various state actors and larger community is the basic strategy of its functioning. The program area of Disha is tribal dominated with undulated and rapidly degrading geographical terrain. Thereby, Peoplea��s organisations are developed to continue their struggle for rights and justice and at the same time constructive engagement with the state are continuing for the sustainable development of the society. As a result, Disha has been included in various government bodies to contribute for the positive growth of the society. Those bodies are Child Welfare Committee, District Child Protection Unit, SC & ST Atrocities Prevention Committee, District Watershed Management Committee, Scientific Advisory Committee of Krishi Vigyan Kendra ( Agriculture Science Centre) and Bonded Labour Abolition Committee and Legal Service Authority.